Different types of back pains have different types of causes, and to gain some relief, the cause rather than the symptom should be addressed. People suffering from back pain are often suggested by friends and relatives to have complete bed rest, which is a misconception. Mere bed rest would not be sufficient to alleviate back pain if there were a serious underlying cause, like bone degeneration, osteoarthritis, or a bone infection. On the other hand, there is nothing as good as having rest for some initial period (though not necessarily bed rest), if the pain has resulted on account of a stress or a strain. Information on What a Herniated Disc is. Before we can explain a herniated disc, it is best that we look at the make-up of the disc itself. Found between the vertebrae in our spinal column, these soft rubbery pads act as shock absorbers and help us to flex and bend our backs. The discs that are found in our lumbar spine have an annulus and a nucleus. The annulus is a thick outer ring of cartilage and the nucleus of the disc is a soft inner gel-like substance. Other discs located throughout your spine but not in the lumbar region are similar but range in sizes (smaller). 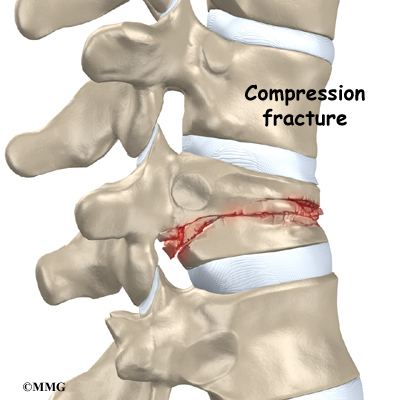 When a disc becomes herniated or ruptured, it extrudes or bulges into the spinal canal. As a chronic pain sufferer, with a diagnosis of a herniated disc along with bone disc degenerative disease, for many years I have needlessly suffered from chronic pain. During the many years of needlessly suffering in pain, I have learned how chronic pain is treated, or should I say undertreated. Fibromyalgia syndrome (FMS) is a chronic disease that affects the musculoskeletal system. Symptoms vary widely among sufferers, but generally include muscle and joint aches, chronic fatigue, irritable bowel syndrome, headaches and tenderness in several of eighteen specific areas, or trigger points on the body. Fibromyalgia is often overlooked by sufferers as the inevitable result of a busy schedule and everyday stress. When patients do seek treatment, doctors often misdiagnose fibromyalgia as rheumatoid arthritis, chronic fatigue syndrome, or another musculoskeletal condition. It affects women far more often than men, at a ratio of about ten to one. While some cases result from a specific trauma, more often the exact cause is unknown. Statistics reveal that up to 85% of all people have back pain at any given time in their lives. Nearly 2% of all American workers get compensated for back-pain-related disabilities. Back pain can occur for several reasons like injury to the muscles on account of their overuse or otherwise, strains, or injury to the ligamentsï¿½the fine, fibrous mass that support them. Back pain may be less when in a resting position but greater when the back is subjected to any hard or soft activity as reaching, twisting, or lifting. Most commonly, it is used to treat pain caused by surgery and chronic condition such as cancer or joint pain. Canadian Tramadol is in a class of medication called as opiate analgesics. It works by decreasing the body’s sense of pain. That is why after applying it you cannot feel that pain. Tramadol is an oral medication and it is taken by mouth as prescribed. It is usually taken every 4 to 6 hours as needed. Make sure that you take this medication accordingly your doctor’s prescription. This drug can be habit-forming so do not increase your dose, use it more frequently or use it for a longer period than prescribed. When used for extended period, this medication may not work as well and may require different dosing. Consult your doctor if the medication is not working well or when you feel you are getting the result even after making use of it.